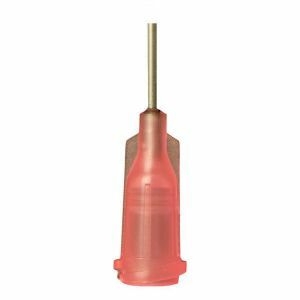 Jensen Global 18 Gauge Blunt Needle is Pink Colored with a Threaded Luer Lock Hub. Jensen Global 18 Gauge Needles have a Inside Diameter of 0.038” (0.965 mm) and an Outside Diameter of 0.049” (1.245 mm). Jensen Global 18 Gauge Needles come in 0.375", 0.5", 1.0", 1.5". 2.0", 3.0" lengths and available in boxes of 50 or bags of 1000. Make your selection for length and quantity above. Jensen Global 18 Gauge Needle is our disposable line of blunt needles in gauge size 18 and is offered in various lengths. 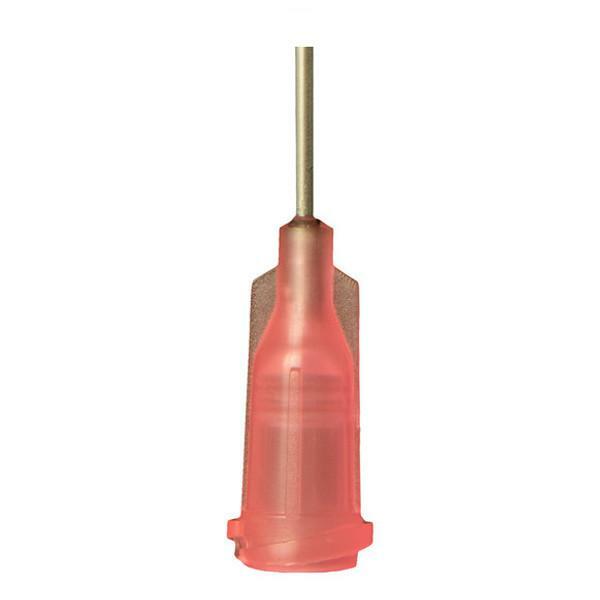 We offer our standard 18 gauge needle in the IT Series dispensing tips with an international color coded hub. *Make your selection for size and quantity above. Jensen Global IT Series 18 Gauge Blunt Dispensing Needle Tips feature a polypropylene Luer Lock hub with a UV-bonded 304 stainless steel cannula. This series is color coded based on the international standard. The Jensen Global 18 Gauge Blunt Needles are not for medical use. IT Series dispensing tips feature a polypropylene Luer Lock hub with a UV-bonded 304 stainless steel cannula. This series is color coded based on the international standard. Available in boxes of 50 or bags of 1000. Choose the length and go directly to the needle size.